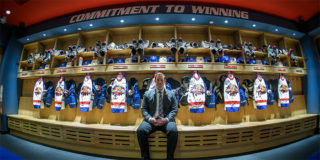 The Moncton Wildcats new mobile app with FanMaker is now up and running! After receiving word at the end of January that our previous app company would no longer be in existence as of January 31st, we made the transition to a new mobile app platform. 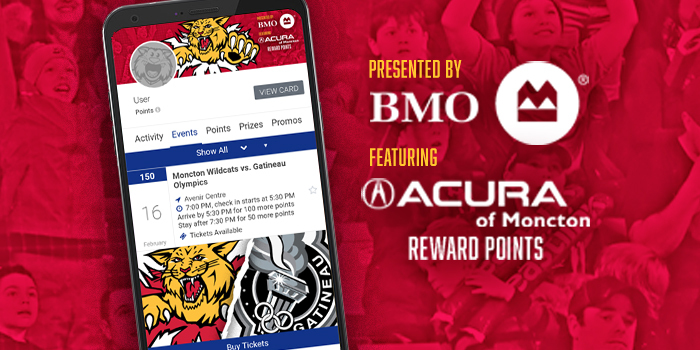 This new app is very much focused around our Acura of Moncton Rewards program and will allow fans to continue to earn points towards great prizes! There are a few small changes from before, there are no longer QR codes at the game to scan for points, as this platform does not support that function. However, you are still able to type in code words to earn points. Under the PROMO tab on your mobile app is where you will type in those code words. Another special function on this app is that you automatically receive points just for attending the game! 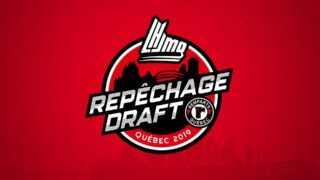 All you have to do is make sure your location is turned on, and as soon as you enter the Avenir Centre on game days you will automatically be awarded points for attending. To redeem prizes on this new app you simply click on the PRIZES tab on your menu bar. From there you will click on the item you wish to redeem for, then in the top right hand corner of your screen you will see a button that says ‘redeem points’ This will prompt a drop-down to appear, showing you how many points this item will remove from your account, as well as your remaining balance, when you are ready to redeem simply hit the confirm button and we will receive a notification of which prize you have redeemed for. 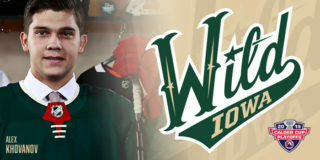 At one of our upcoming games, stop by the mobile app booth on the mezzanine to pick up your item! If you have an android device, the new app should have automatically updated and replaced the previous app. As part of this automatic update your points should carry over as well. If you have an apple product you will have to download the app from the Apple Store (free of charge). Once downloaded you will be prompted to log in. Since your user already existed, you will need to re-set your password in order for your points to re-appear. 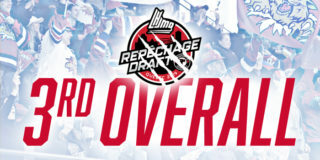 You can do this by clicking on “reset password” in the app or you can go to https://monctonwildcatsapp.com/recover_account and re-set your password there. 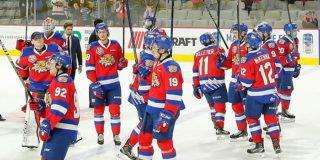 If you are having any issues with your points not carrying over please email us at info@moncton-wildcats.com and we will adjust your point total on the back end of the app. For anyone who did not have the app previously – it can be downloaded from the Google Play Store or the Apple Store!